Dimensions: total height 78cm, seat height 46cm, depth 57cm, width 61cm, weight 5,3kg. Material: seat with body in techno polymer, finely upholstered with soft removable fabric and legs in tubular steel from 16mm painted in anthracite color with polyester powder. Available colors: sand, classic grey, saffron, green peacock. GIULIA POP, thanks to its wide seat, is the perfect armchair for interior design. 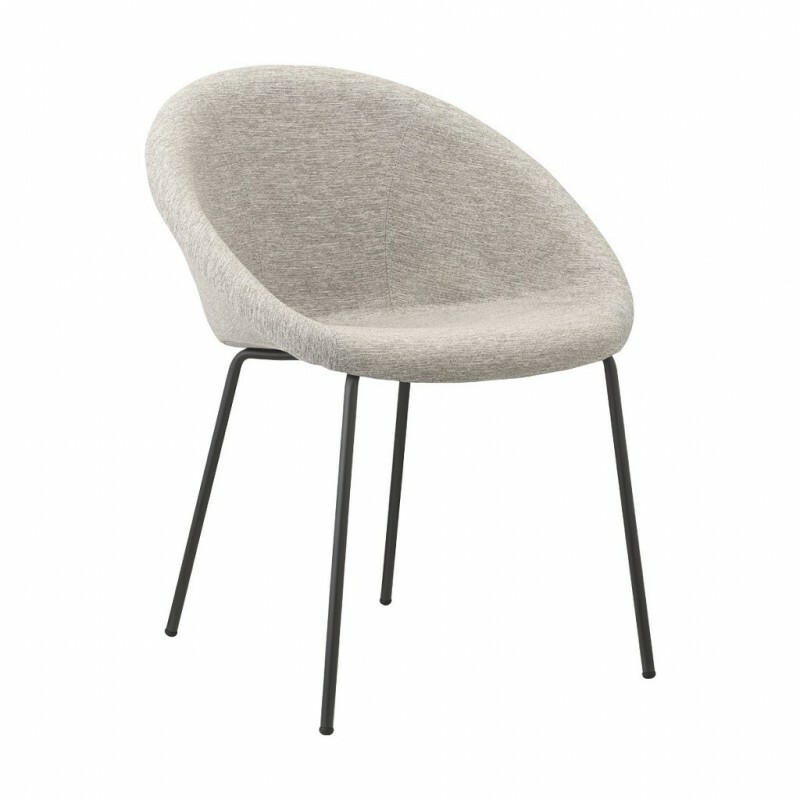 Has an upholstered shell that makes the sitting irresistibly enjoyable. An armchair that lends itself to fun customizations and suitable to any environment. Article consisting of body in techno polymer, finely upholstered with soft fabric and steel legs in anthracite painted with polyester powder. Armchair from the design of highly prestigious, high quality of construction and by the excellent finish. It fits perfectly into every indoor setting, private or "Contract".